NEIGHBORHOOD is surrounded by worldwide hype, it does not surprise us that this collaboration with adidas came to life. 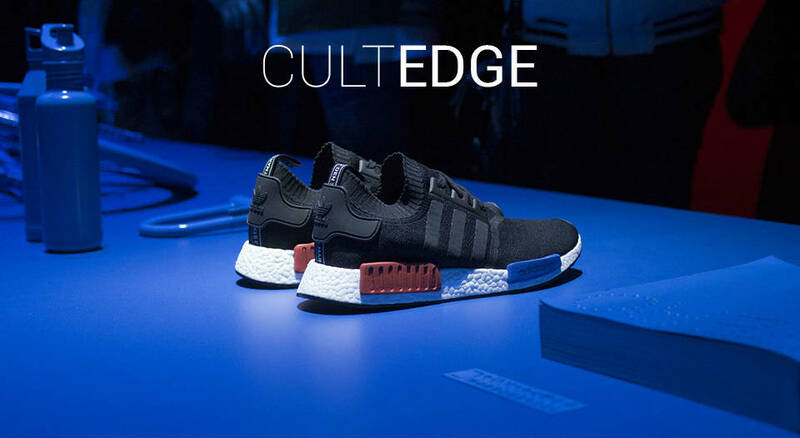 Some pictures of the NEIGHBORHOOD x adidas Originals NMD R1 have already leaked online. While scrolling down on Instagram, we came across photographers named @13thmessenger and @randygalang. Both allowed us to have a more detailed look at this to-be-released pair. As expected, the shark-teeth-theme is still present as well as an awesome black boost. Further details can be found on the upper with NEIGHBORHOOD brandings altogether with a heel-strap with “BRGD” imprints. No release date, availability or retail price has been given out. On that note, stay tuned for more info. NEIGHBORHOOD’s concept comes from “basic clothing created by digesting unique interpretations of elements from motorcycles, military, outdoor, etc. and also suggesting this lifestyle”. Founded in 1994 by Shinsuke Takizawa, the brand never stopped growing and collaborating with other labels worldwide. Apparel is not their only asset – they are also involved in eyewear, interior items, ready-made good and others.